On June 25, the G7 ambassadors’ Support Group for Ukraine, including the Ambassador of Japan to Ukraine Shigeki Sumi, held a meeting with the Prime Minister of Ukraine Arseniy Yatsenyuk. 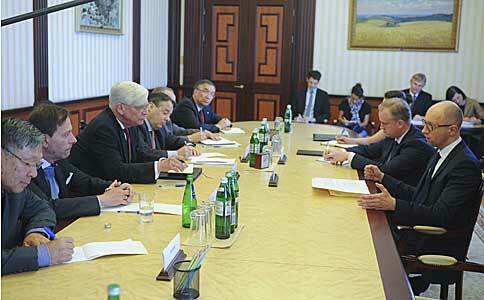 In particular, the issues of energy security were discussed during the meeting. The Prime Minister also emphasized that the Government of Ukraine highly appreciates the support of the Group of Seven in the Ukraine's fight for its independence and territorial integrity.